Please lend a hand this holiday season with the Outdoor Church! There are many ways you can make a difference! 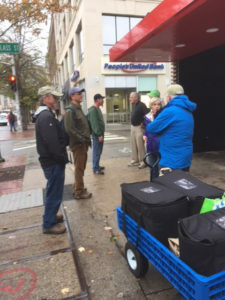 On December 31, we will receive donated ingredients, make sandwiches and send them with 2 or 3 church members to Cambridge who will accompany the Outdoor Church clergy in serving the Outdoor Church Congregation of homeless and street-involved men and women. 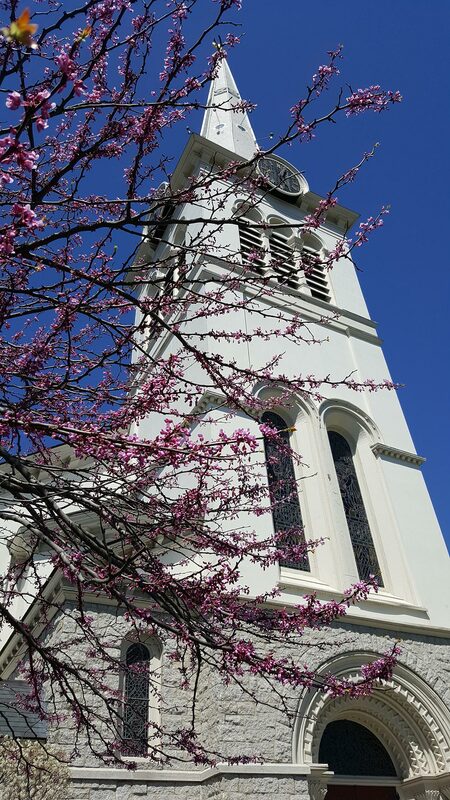 We follow a specified route that is repeated each Sunday, so congregants know when and where to expect us. Distributing both food and small necessities gives us the opportunity to interact face-to-face. This holy connection has as much impact on those bringing food as it does on those receiving it. Our intention is to share a message of hope and unconditional love with those who need to hear it most. There are many ways to help for all ages. Drop in on December 31 to make sandwiches. However you participate, don’t miss this opportunity to end 2017 on a powerful and hopeful note! Another way to support the Outdoor Church is through the Advent Worlds of Change boxes. 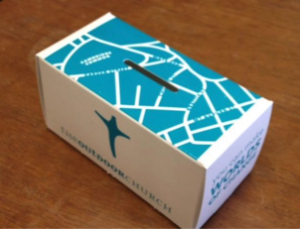 By putting our loose change in these small rectangular boxes throughout Advent, we join many others to empower small change to make large changes in the lives of the Outdoor Church Congregation. Boxes are available at the back of the Sanctuary and in the lobby. Please take one and put it in a prominent place in your house. Whenever you pass it, put your spare change in it. Then bring the now-heavy box to church on Sunday, December 24. You can place them in the offering plate or give them to a deacon. Thank you! Contact Lisa Loughlin with questions.